The new room leads off the main house via a set of sliding doors. People worry that adding a new room like this will make the original room dark. This won’t be so in this case as two sets of bi-fold doors have been fitted in the extension, flooding the room with light. The doors will fold back, almost opening up the corner of the building on to the garden. The exterior of the extension is clad in Cedar. Fixing this vertically gives the extension a modern look. The roof has a deep eaves detail, the soffits of which have been clad in the same Cedar as the walls. Exterior grade downlights have been fitted in the eaves creating a curtain of light down the walls. Up/down exterior lights have also been fitted alongside the doors, a nice combination. Inside, the new room has been plastered ready for decorating, and an oak laminate floor has been fitted, creating a modern room. Brushed steel electrical fittings have been used throughout. Garden Room Living have built this contemporary extension to Building Regulation standards. 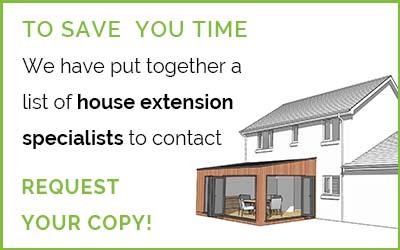 To learn more give the Garden Room Living team a call on 07949 406 525 or email [email protected] or take a look at their website.